The US dollar and Japanese yen have begun the year on a firm note, as have bonds, while equities markets have moved lower. This continues unabated today. Another consistency is the weakness in the Chinese yuan. The PBOC fixed the yuan lower for the seventh consecutive session. The yuan is off about 0.67% today. This doubles the decline of the first two sessions of the week and leaves the yuan off one percent this week. 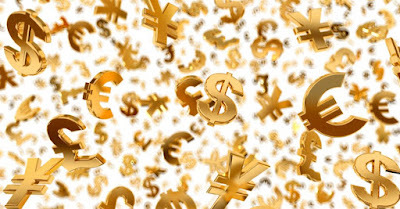 While the pace of decline is commanding attention, the yuan has fallen less against the dollar this week than the closely managed Singapore dollar, and Korean won, Taiwanese dollar, Malaysian ringgit, and the Indonesian rupiah, for example in Asia. Among the majors, it has fallen less than the euro, dollar-bloc currencies, and the Scandis. This is not to dismiss the decline in the onshore yuan. It is simply to recognize that the yuan's decline against the dollar that spurring the spillage of so much ink is not spectacular. It is a clear, even if managed, consequence of decoupling China's monetary policy from the US. The exchange rate is an important channel. The problem lies with the uncertainty over the intentions of Chinese policy makers. The market anticipates more depreciation (stronger dollar). The offshore yuan (CNH) is off a little more than 1% on the day and 2.2% for the year. The gap between the two stands at a new record high. The PBOC has tried intervening through state-owned banks with little lasting impact. It has tried the time-tested "killing a chicken to scare the monkeys" tactic by suspending a couple foreign banks for ostensibly facilitating speculation against the offshore yuan. It is difficult to see how the PBOC can address this without sending clear signals that it does not seek further depreciation. Focusing on the yuan's stability against a basket is not particularly useful. When the dollar is rising against that same basket, the bearishness toward the yuan becomes more entrenched. News that China's officials will likely extend the ban on share sales by large investors, with new rules likely in the coming days, helped lift Chinese equities today. The CSI 300 gained 1.75%, though Chinese shares that trade in Hong Kong fell almost 1%. The gains buck the global trend. The MSCI Asia-Pacific Index is off almost 1% and the Dow Jones Stoxx 600 for Europe is off almost as much. Participation in Europe may be light due to the religious holiday. North Korea claims to have tested a hydrogen bomb, though some foreign experts seem to think that this is a bit of an exaggeration and that it may have been just another atomic bomb. The South Korean won is among the weakest Asian currencies today, slipping 0.8%, though the quarter point loss in the equity market is among the smallest losses recorded in the region today. Service sector purchasing managers reports dominate the economic news. China's Caixin services PMI fell to 50.2 from 51.2. This pushes the composite below 50 (49.4), reversing the November gained that had brought it back above the 50 boom/bust level after being below in August through October. The eurozone service PMI was better than the flash suggested at 54.2 rather than 53.9. The composite reading also ticked up to 54.3 from 54.0. This is a new cyclical high, suggesting a firm end to 2015. Germany's flash service sector reading was bumped up to 56.0 from 55.4. This is the strongest since July 2014. France disappointed. Its service PMI fell to 49.8 though the flash reading had put it at 50. It is the first sub-50 reading for France's services since January. Spain followed France's disappointment. The service PMI had been expected to slip a little, but it fell to 55.1 from 56.7. This matches the lowest reading for 2015. The survey was conducted before the national election, but it may have still weighed on sentiment. New business measures slipped. The political uncertainty in both Catalonia and the nation as a whole may force new elections. This comes at the same time that the economy appears to be losing some momentum. Italy, on the other hand, followed Germany with an upside surprise. Italy's service PMI reached 55.3 from 53.4. The Bloomberg consensus was for 53.6. It is the highest since March 2010. Of note, employment sub-index is at an eight month high and new business improved. The composite reading of 56.0 is a new cyclical high. The UK's report was mildly disappointing. The service PMI slipped to 55.5 from 55.9, which was a touch below expectations. The composite reading, which had improved in October and November slipped back to 55.3, the lowest reading for the quarter. This week, the manufacturing and services PMI disappointed, with index covering the smallest part of the British economy, construction doing a bit better. Expectations for a BOE rate hike continue to be pushed out, with an investment bank or two announcing forecast changes today. The US and Canada both report November trade figures today. The focus in the US, however, will be on the ADP employment estimate (consensus is just below 200k), the service sector ISM, durable goods orders and late in the session, the minutes from the December FOMC meeting. Despite the equity market sell-off, the string of weaker data that prompted the Atlanta Fed to slash its Q4 GDP tracker to 0.7%, expectations for the March FOMC meeting has barely changed since say December 18, before the holidays sapped market liquidity and participation. The euro is pinned in narrow ranges near yesterday's lows. It has retraced a little more than 61.8% of the rally spurred by the ECB's disappointment a month ago. The next technical objective is near $1.0680. The dollar extended its losses against the yen, falling to JPY118.35 after being repulsed when it tried to resurface above JPY119. A break of JPY118, which matches the mid-October spike low, would be significant, with nothing on the charts until JPY116.20. Sterling's slide was also extended. It fell to $1.4620, new eight-month lows. It is a cent from last year's low. Resistance is seen in the $1.4600-$1.4700. 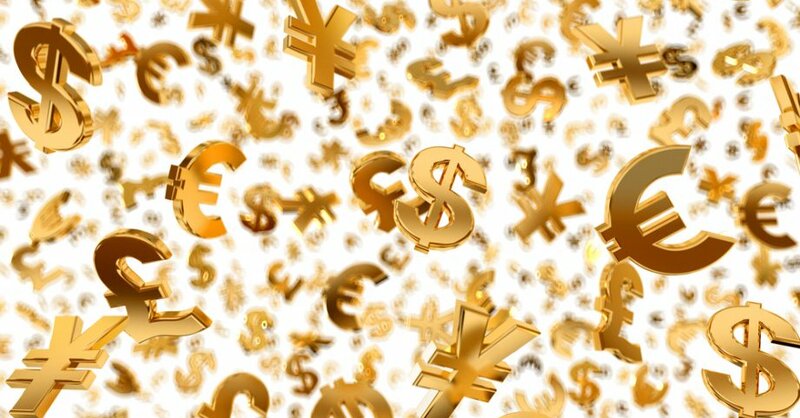 The dollar-bloc currencies and most emerging market currencies remain under strong downward pressure.